It sounds spooky to be sure, but fresh donor cadavers have been used to harvest stem cells from the fluid that surrounds the retina at the back of the eye. This spooky science may hold hope for the millions of people with age-related macular degeneration (AMD), the leading cause of blindness in those over the age of 60. Stem cells, known as retinal pigment epithelium stem cells (RPESC), are part of a single layer of cells known as the retinal pigment epithelium (RPE), which lies at the back of the retina. The RPESCs seem to lie dormant inside the normal adult eye but once extracted they activate and behave as stem cells, and recent research has found them capable of making stable, healthy RPE cells, in addition to cells with the features of neurons, bone cartilage, fat and muscle cells. Researchers found that about 10 percent of cells from the RPE divided prolifically and produced many new cells and shared markers of stem cells. The link to AMD is this: it is known that macular degeneration causes RPE cells to die. The hypothesis is that RPESCs could regenerate a pure population of RPE in a culture, which could be used for transplantation to help repair the diseased RPF. The research team was lead by Dr. Sally Temple, co-founder and scientific director of the Neural Stem Cell Institute (NSCI), based in Rensselaer, NY. Dr. Temple is the recipient of many prestigious awards, including the Jacob Javits Merit award from the Bethesda, MD-based National Institutes of Health (NIH) (2003), as well as a MacArthur fellowship award (2008) in recognition of her contributions to neural stem cell developmental biology. 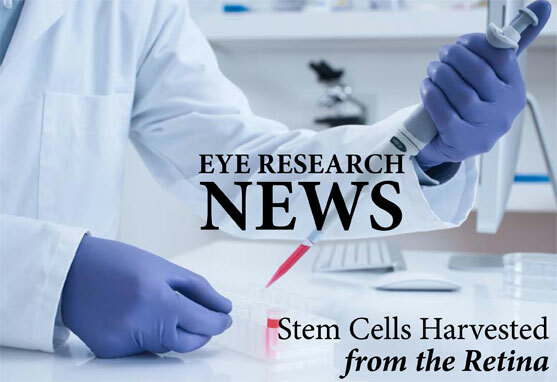 The NSCI, which aims to harness stem cell technology to relieve suffering caused by injury and diseases of the brain, spinal cord and retina, is the only independent, non-profit stem cell research institute in the U.S. It turns out that RPE cells can be extracted from live donors as well as from cadavers, and in this study, RPESCs were isolated from donors ranging in age from 22 to 99. It was the fact that the RPE layer is generated very early in embryonic development that led Dr. Temple and her colleagues to test whether these cells, so essential for proper vision, possessed stem cell-like characteristics. The NSCI is planning to study AMD and RPESCs on animal models. The scientists are also investigating which other types of nervous system cells can be produced by RPESCs, which may lead to future treatments for other nervous system diseases such as Alzheimer’s and Parkinson’s. RPESCs are also being used as a substrate in the culture dish to screen for drugs that may prove effective for AMD. Research findings were published in the journal of the International Society of Stem Cell Research, Cell Stem Cell, in January 2012[i]. Researchers transplanted immature rod-photoreceptor cells (one of two types of photoreceptor cells in the eye – the other is cones) from healthy young mice into the retinas of adult mice that were blind due to non-functioning rod-photoreceptors. Rod cells are extremely light sensitive, enabling mice (and people) to see in low-light conditions. The transplanted cells appeared to function almost as well as normal rod-photoreceptor cells and were transmitting visual information to the brain after only four to six weeks, thus verifying earlier research by the same team that showed this to be a possibility. Running the maze in low-light conditions would be the litmus test of visual acuity in the transplanted mice. They performed far better than untreated mice, finding a visual cue to a hidden platform and getting there quickly, whereas the untreated mice had to find the platform by trial and error. “We’ve shown for the first time that transplanted photoreceptor cells can integrate successfully with the existing retinal circuitry and truly improve vision,” said UCL Professor Robin Ali, who led the research. “We’re hopeful that we will soon be able to replicate this success with photoreceptors derived from embryonic stem cells and eventually develop human trials. Eye diseases that could benefit from photoreceptor transplantation include AMD, retinitis pigmentosa and diabetes-related blindness. [ii] PEARSON et al. “Restoration of vision following transplantation of photoreceptors”, Nature, April 2012, http://dx.doi.org/ 10.1038/nature10997.